The Canadian Interprovincial Equestrian Championships is a sanctioned Equestrian Canada competition. This team event offers athletes in the Learning and Training to Compete and the Learning and Training to Win stages within the Long-Term Equestrian Development (LTED) model, the opportunity to test their skills against their peers from across Canada. Recognized as a pilot project, the Canadian Interprovincial Equestrian Championships is a collaborative event between the national and provincial sport organizations governing equestrian competition, whereby provincial/territorial sport organizations field teams representing their respective province/territory. It also acts a key event in the development of equestrian’s next generation of national, international and world champions. In addition, it is a platform for talent identification for athletes, coaches and officials. Equestrian Canada (EC) and the Provincial and Territorial Sport Organizations (PTSOs) have made the joint decision to use 2016 to collaborate on the redevelopment of the Canadian Interprovincial Equestrian Championships (CIEC) in order to relaunch the competition in the future and ensure its place in the national competition structure. EC and the PTSOs will explore several options to revamp the CIEC for 2017 to ensure its success in the future. EC and the PTSOs will endeavour to align on the objectives for the competition as well as where it best fits in the athlete and competition pathway. 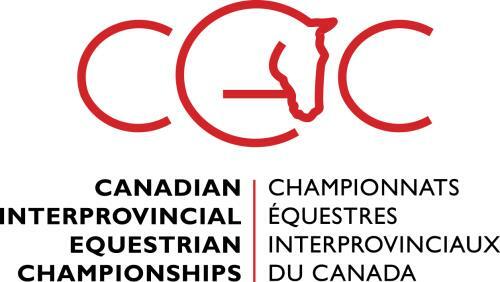 The CIEC is a multi-discipline competition that invites all provincial and territorial sport organizations (PTSOs) in Canada to field teams in the disciplines of dressage, jumping and reining. Since launching in 2012, the CIEC has provided riders from across the country with the valuable opportunity to compete for their province or territory in a team format.